Home Supply-Chain Security How Do Companies Make Up for Stolen Cargo? 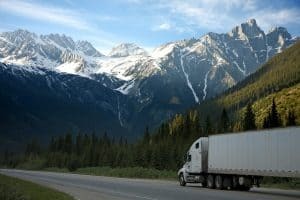 Cargo theft is an all-too-common problem that impacts industries ranging from food and beverage to building and industrial supplies. Criminals steal cargo and resell it for their own profit. This, of course, takes money away from the companies who manufacture the products. Cargo theft also has a negative financial impact on shipping companies, state and local governments, insurance companies, retailers and even consumers. It is far from a victimless crime; in fact, the impact of stolen cargo reaches much further than many people realize. The theft of a single trailer or shipping container can cost a company thousands—even millions—of dollars. Even for major corporations, such a loss can understandably be devastating. For smaller companies, it can be nearly impossible to recover from such a disaster. While most stolen cargo is never recovered, there are a few ways companies can make up for stolen goods. Companies carry insurance for many reasons, but one of the main reasons is to help the business recover from a significant loss. Shipping companies often carry cargo insurance to protect the business in the event a shipment is stolen. Manufacturers also carry insurance that covers their merchandise. Because cargo theft cases are complex, it is not always clear whose insurance policy is responsible for paying for the loss. In most cases, it is necessary to file a report with the police. The information contained in the police report helps insurance providers sort out who is responsible for paying for the loss. Turning to an insurance company isn’t always in the business’s best interest, however. Many companies prefer to keep thefts quiet for a number of reasons. Filing an insurance claim helps the business recover its losses, but doing so also inflates insurance prices. Since cargo insurance is already quite expensive, many carriers opt to eat the loss instead of further raising their rates. Many also fail to report thefts to their insurance companies because they fear negative repercussions. Shipping companies do not want to lose business by potentially appearing untrustworthy. In some cases, it is more affordable to take the loss and keep it quiet than to go public by filing an insurance claim. Because theft is such a common problem, many manufacturers account for it when pricing their items. Retailers also raise their prices to make up for profits lost due to stolen cargo. On average, consumers spend up to 20 percent more on the products they purchase as a result of manufacturers and retailers using price increases to offset losses from cargo theft. The Internal Revenue Service also allows businesses to write off losses incurred as the result of theft. The IRS defines theft as a crime that involves “the taking and removing of money or property with the intent to deprive the owner of it.” Cargo theft falls within this definition, so it can be written off. When determining how much to write off, the business must determine the fair market value of the property stolen minus any reimbursement received from the insurance company. You may claim the deduction on Form 4684, or you may deduct the value of the theft by increasing the cost of goods sold when you fill out your Schedule C. If you choose the latter option, deduct the value of the stolen cargo from your closing inventory to increase your total business expenses. This results in the same business deduction as you would receive if you were to use Form 4684. While merchandise stolen in transit is often never found, there are products that assist companies in tracking down stolen loads. Asset recovery tracking devices allow companies to monitor where their loads are. Some also send out alerts if the vehicle transporting the merchandise strays from its designated route. Asset recovery products use GPS to help ensure that stolen loads can be recovered. They provide valuable data to manufacturers, shipping companies, retailers and law enforcement. While they do not always result in the recovery of the stolen cargo, they have helped many companies avoid huge losses. Even when recovered, however, some types of cargo need to be destroyed or undergo expensive testing. Pharmaceutical products, for example, cannot simply be sold after being recovered. They must be tested to ensure that they are still safe for use or they must be destroyed. Products shipped in temperature controlled packaging may also need to be destroyed if they became too hot or too cold prior to being recovered. Cargo theft is not the “victimless crime” that it is often portrayed as. Drivers and other shipping employees can be injured—or worse—when products are stolen, and companies face huge losses. While the direct costs are huge, there are also several indirect costs to take into consideration. When a product cannot be replaced from existing inventory, the manufacturer must schedule a new production run to make up for the lost cargo. This could disrupt the company’s entire production schedule and result in the need to pay for employee overtime. If the company is unable to replace the stolen goods, they may risk losing their contract with the intended recipient, which could also be a huge financial loss. Shippers that fall victim to cargo theft risk losing their reputation. While theft can impact virtually any company at any time, consumers are less likely to look favorably upon those who have been stolen from. They are less likely to see the company as trustworthy, and potential future customers may not feel confident in their security measures. Cargo theft results in nearly $30 billion in losses every single year, and the impact of this so-called “victimless crime” can be felt by everyone from members of the supply chain to consumers. While there are ways for companies to recover their losses, insurance and price increases are not nearly as helpful as preventing theft in the first place. By taking steps to implement effective security strategies, you can make your business less susceptible to cargo theft and reduce your risk of having to face the unpleasant task of trying to recover from a significant loss.